Venture One Realty gives you Full Service to find your perfect home! Our goal isn’t to just find you a home, but to find a community your family will love and thrive in! The Internet has changed the way Home Buyers search for homes. The problem is the real estate industry has not. New Home Buyers are now beginning their search for a new home on the Internet instead of contacting a real estate agent. Venture One Realty is not your “typical” Real Estate Brokerage that has huge overhead franchise fee’s or corporate national advertising. We focus our time and energy on our clients to ensure they get the best possible service. Venture One Realty works with you, not just for you. We pledge our absolute loyalty and confidentially to our Clients. As a Buyer at Venture One Realty you will work with our team of highly talented agents who specialize in showing homes, transaction coordination, and negotiations to provide you a high quality home buying experience. We will not just meet your expectations, but exceed them! Buy the Venture One Way! Meet face to face to see if Venture One Realty is a good fit for you. This will allow us to discuss your expectations, goals, home criteria, price range, and moving time frame. We will give you an over view of the home buying process so that there is no surprises! Venture One Realty’s website service helps you find all the houses for sale that meet your requirements. We make scheduling showings as easy as possible. Our agents are ready and waiting to show homes on short notice, nights and weekends. Find Your Home and Move In! Our team will be by your side the entire time thru the negotiation, inspection and closing process. Our team of local experts is ready to guide you through the home-buying process. We are committed to fast, professional and courteous service to help you understand and feel at ease throughout the home buying process. 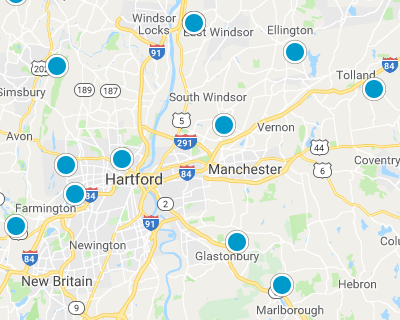 Our trained and licensed agents specialize in the Connecticut real estate market and are prepared to find the right home and get the best price.